Residents of Cote-St-Luc were awakened by gunshots around 1:30 a.m. Saturday morning. According to police, shots were fired from a vehicle passing through the intersection of Kildare Rd. 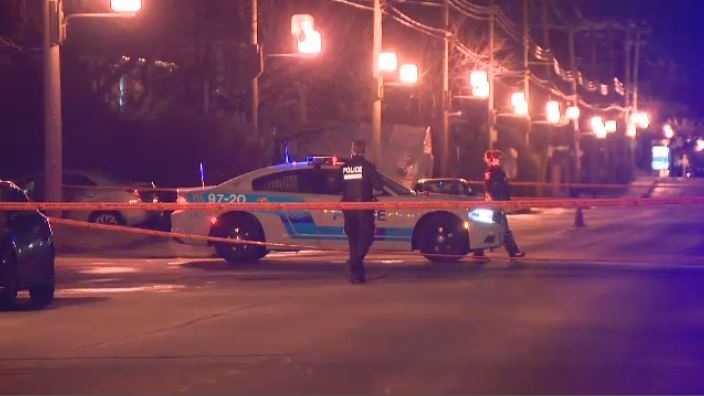 and Eldridge Ave.
SPVM spokesperson Manuel Couture said that shell casings were found at the scene, however, it appears the shots were not directed at a particular target. After a 911 call was place, police located the vehicle in Cote-des-Neiges-Notre-Dame-de-Grace. A 25-year-old man - known to police services - was arrested on-scene. Police officers seized a weapon inside the vehicle, and detained the suspect for questioning. Two other men are sought in connection with the incident. Police say they will be meeting with witnesses and residents of the area to clarify the circumstances of the shooting.